In the modern webpage technology different types of webpage design is present. 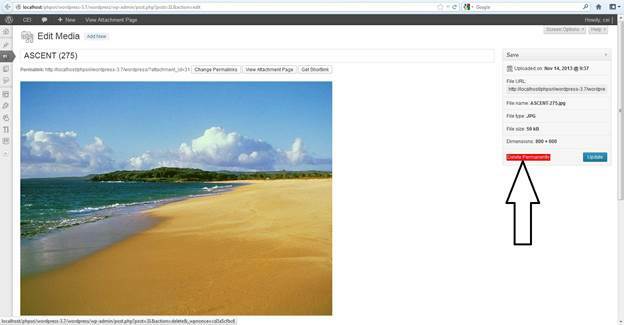 In this article we will see how to create photo gallery using WordPress. Webpage design is set as with different order and different types of menu. One of the important menus is Photo Gallery. Because photo Gallery is one the most important and popular part of a webpage design. Through this Photo Gallery Web developers give us a Virtual View of the specific webpage. 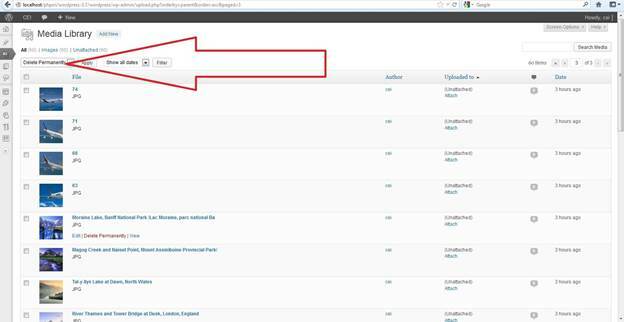 The WordPress documentation is supporting to add a new form of menu that is called Gallery. This is a container of multiple Figure s; media files. This is a new view of the Company, Institution, College, School, and Government Sector to view through virtual way. At the time of Photo Galley creation we can easily set different types of photo like *.jpg,*.png,*.gif,*.bmp and all types of files are interrelated media files. We must upload all this types of Figure s, so we have to remember that this all types of files are set via upload procedure. For that reason we must think about the size of the Figure s. Because different web servers have limited area for uploading the media file. If this file size is small then the user can easily upload lot of data, on the other hand if the size of the file is very large then we can upload few Figure or other media files. Figure is a great way to make gorgeous Website through WordPress (CMS). Adding and managing the media files is no doubt very easy way in WordPress. Following are the steps to follow to upload Figure files. At first go to Posts option -> Add New or Pages -> Add New, otherwise we may open an existing post in editing mode. This is a very simple way to simply drag and drop our files into the box that appears here otherwise click to Select Files to choose a photo from our computer hard disk to upload. Please keep in mind that the drag and drop upload only works in browsers with HTML5 upload support such as the latest versions of Google Chrome, Firefox, or Safari Web Browser. Generally the web browser takes a major role for those types of updated procedure. On the other hand the browsers will still show the Select Files button or the basic browser up loader form. Through this Media Library we select the files from our local disk or select from network system as our choice. After that upload this Figure. When the file is selected then this files are added in the following way. Progress bar is used to show that uploads are in progress. If we want to delete our uploaded files or change it, just go to Delete Permanent option and click on it and got to Apply button. The Figure s are given here. We can edit our uploaded Figure as per our choice when it is required. At the time of uploading/crunching process has completed then we will be given the option to edit some settings before inserting the Figure into the post or page. 1 Title The title part is used to display on the Figure’s attachment page.Note: The title added in this field does not display as a tooltip. Basically it is a concept of when a mouse is hovered over the Figure that displays the name. At the time of add a tooltip title, edit the Figure after inserting it into the post, and add your tooltip wording to the Title field. 2 Caption Figure caption that is used to display directly underneath the Figure . 3 Alt Text This part is generated for the text displayed when the Figure is not available. This is the text which is seen by search engines and screen readers. 4 Description This part is useable for giving full Figure description or other information to accompany the Figure on its attachment page. 5 Alignment Normally we know that four types of alignments are present. Center, Left, Right, Justify. The position of the Figure within our post or page. This page on Figure alignment for more information and data. 6 Link to Normally there are three choices present for the URL/web address to which the Figure will be linked. 1.2.We cannot remove the link completely or permanently.3.4.Media File will link the Figure to its original or full-size version.5.6.The Attachment Page will link the Figure to its attachment page. 7 Size The size of the Figure is another important point we just click Insert into Post when we are done adjusting and the Figure ’s settings. The following process describes the steps for inserting an Figure which already exists on another web site or domain. It is totally depending on the site that we are linking to our form. This method will not upload the document or file to our Media Library. The files will be uploaded from the standard sites like Blogger in order to provide some procedure which is like smoother, faster, and more reliable experience. If the Figure is uploaded to our Media Library, then we have to notice that our Figure links will change after we publish our post to reflect the Figure ’s for the new location in our library. Normally the file is hosted anywhere. If the file is removed from its location then it is true that it may not display in our site. The Procedure should be given as following way the way is that. At first we just click on go to Posts -> Add New or Pages -> Add New, otherwise open an existing post in editing mode. After that we can set our cursor where we want to like the Figure to be appearing and then click on the Add Media icon which is originated unswervingly above our editor page. After that, clicking the Add Media option we can find out that a popup menu will be displayed. Just click on “From URL” Option. We will be given the possibility to manage the surroundings that is defined above before inserting the Figure into the post or webpage. 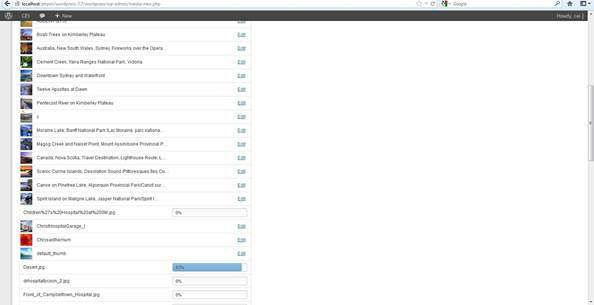 When we are finishing the choosing of our Figure settings then just click on the Insert into Post button. The process describes inserting the Figure which we are already uploaded in our site or may it in our blogs. The processes are given below. At first we go to Posts -> Add New or Pages -> Add New otherwise open an existing post in editing mode. After that we just set our cursor where we want the Figure to appear. Then click on the Add Media icon found directly above our editor page. Click on the Media Library tab which is generally given here. After that locate the Figure that we wish to insert and select it which is required for us. We will be able to edit the Figure’s settings in the same identical way as described above before inserting it into the post or other page. When finished, click Insert into Post at the bottom. WordPress provides another essential feature of the post page is the ability to add Figure s to our blog post. It is no doubt a reasonably straight forward process. We can upload any size of Figure although we are applauding that we should resize our Figure s with proper format as we can set it in the right order. We are also commending that Figure s be no more than 400 or so pixels in width and the resolution of the Figure should be 72dpi(Basically the DPI stands for Dot per Inch). Through this process we must prepare our Figure s before writing our post. In this edit software window a toolbar is located on the right that is labeled Upload/Insert. It is worked as like import or link to Figure s, video, audio and other files basically which are called Media Files. 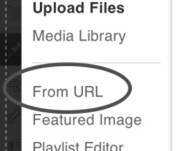 When we click on the small Figure button alongside Upload/Insert then we can choose the file which we wish to upload. We can generally upload jpg, jpeg, png, gif, pdf, doc, pptx and docx and also other files that are supported. When we want to upload larger media files like video or audio you would need to emolument for more space on the WordPress server. Generally we have 3 Gigabyte of available space on the WordPress server. We should maintain the name of the Figure by giving it a suitable title. We can mark a momentary caption for the Figure. We can also write a brief explanation of the Figure. We can set the alignment for the Figure as well as its qualified size in the post or page. Photo Gallery in Wordpress is a one of the most important design part in the Webpage design development. Because using the Photo Gallery base process we can set virtual view of the web site and people can easily understand it by viewing the Figure s, videos etc. We now know that WordPress is a Content Management System so Photo Gallery/Media is very popular and common part of CMS. Hope you have enjoyed the article.